How can you celebrate Independence Day without fireworks and a catchy blog post title? 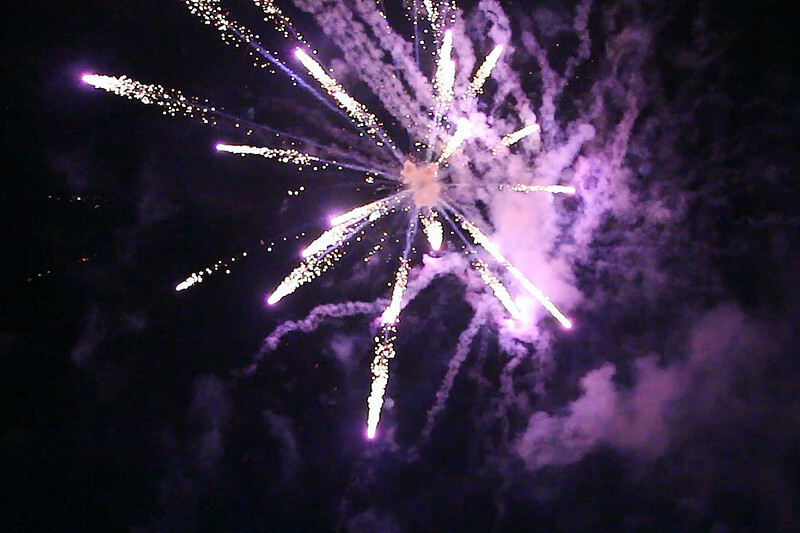 The Canon Rebel T4i on the 4th of July kicked off a pyrotechnics display with a high ISO video test. I was so busy capturing the bombs bursting in air in 1080p video, I only have 2 megapixel video screen grabs of the July fourth explosions. No worries, the glorious Full HD video will suffice! 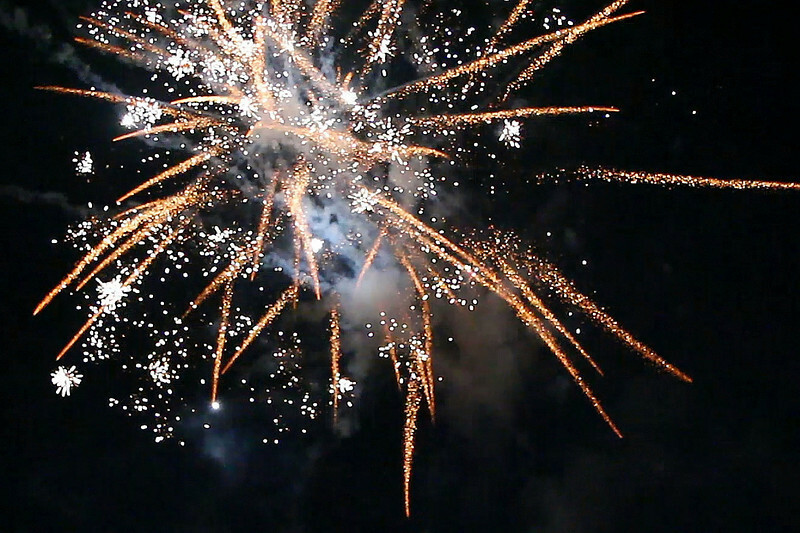 Armed with a plethora of enormous firework cakes, I cranked my Canon Rebel T4i/650D wide open and the ISO to an amazing 3200 to capture this 1080p video shot at 29.97fps. I paired my T4i/650D with an EF-S 17-55mm f/2.8 IS lens and captured audio with a Senneheiser MKE400 shotgun microphone. For editing, I used Final Cut Pro 6.0.6 with the Canon E-1 Movie Plugin to transcode to AppleProRes422. Finally, for support I used Benro 3580 tripod legs with a Manfrotto 701 HDV video head. This is my kind of bakery! Explosive cakes piled high to the amazement of children and crying babies. 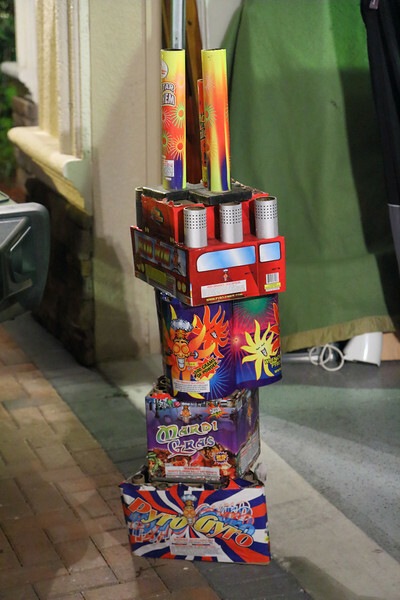 Consider it a Filipino obsession with ornate gunpowder displays for grown adults as well. 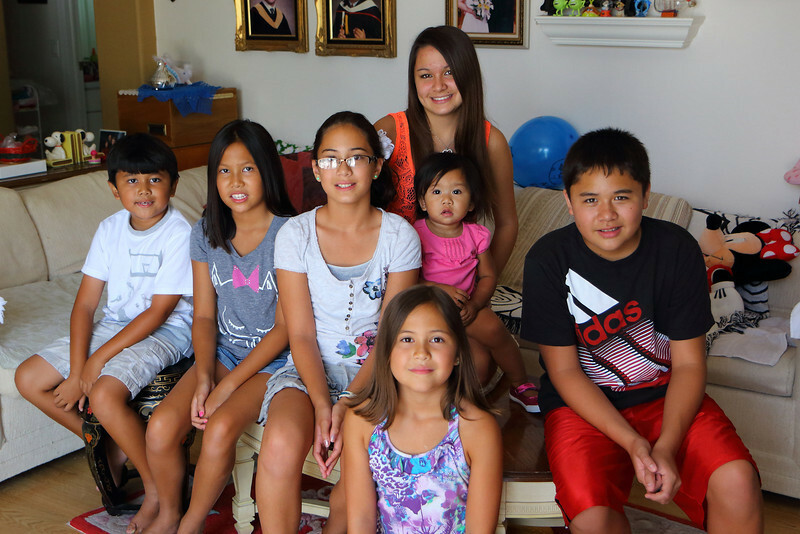 Cousin chaos returns for America's Independence Day! Family is more powerful than gunpowder bursting in air, except for my baby daughter's loaded diaper of mass destruction. ISO 3200 is the limit for Canon T4i video capture. I expected noise and grain at this level for a proper exposure for extreme dark followed by flash bang moments. 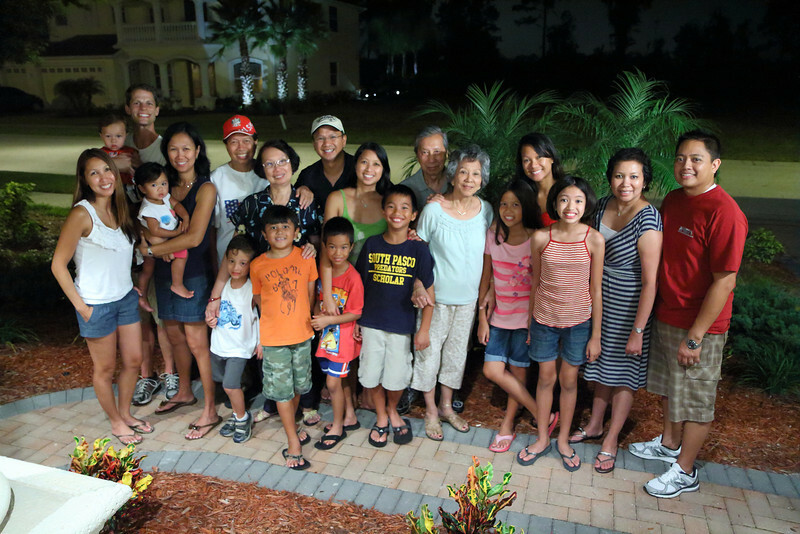 Shooting wide open at f/2.8 challenged the venerable T4i CMOS sensor for light gathering. Of course the more expensive Canon 5D Mark III and the 1D Mark IV is at least two ISO stops cleaner but the T4i is over three times less expensive. Not too shabby for entry level! Stay updated with more Canon Rebel T4i video tests and HD DSLR gear updates by Becoming a Fan on my Facebook Fan Page and following me on Twitter!